The sharing economy presents new ways for individuals to experience different lives and perspectives. Living in another person’s home for example is a good way to experience a new culture or new surroundings. But what if personal biases intrude into the process? Airbnb, an online company that allows people to rent out a room or their entire house to strangers, is aiming to tackling instances of discrimination with sweeping new policies and processes that will in some ways make transactions less transparent but will respond to discrimination without government intrusion and based on the company's recognition that discrimination is a moral and economic ill.
A big change is that the company will minimize users’ photos during the booking process to help mask identities of customers. It’s not that different from what other sharing economy companies do. Uber doesn’t reveal the identity or provide advance photos of passengers to drivers until after they accept the ride which is a chance to bypass bias. Even if a driver cancels there is risk of a bad review and drivers must maintain a certain level of rating to stay on the road. In addition, Airbnb will make changes to block out dates on a host’s reservation calendar, require that hosts and guests pledge not to discriminate while using the service, and remove hosts from the service if they are found to have discriminated against customers. Airbnb has also made a decision to include anti-bias training for hosts and diversity training for staff (especially customer service staff), and to beef up hiring of more minority candidates for senior-level positions. As of late, the tech sector has come under fire for its lack of diversity. Airbnb’s effort specifically comes in response to criticism the company has taken over instances where customers contend that they were discriminated against. A handful of instances received national attention such as a North Carolina host who he refused to rent to a black woman (we’ve chosen not to use the racial slur he did) and harassed her afterwards. Harvard also released a study last December that found Airbnb customers with names that sounded black were 16 percent less likely to be accepted for rentals than others with white-sounding names. It even spawned a Twitter campaign, #AirbnbWhileBlack. Beyond policy, Airbnb is going all out to tackle bias (perceived or real) that’s baked into its system. Now, it aims to self-police a problem among its members. That is commendable. Private companies can be a great driver of social change without it threatening their bottom line (and, in fact, is is discrimination that more likely leads to bad economic decisions). When private business and private citizens band together they can create change without new government rules or regulations. “I don’t think there’s a software algorithm you can create that can make people love each other,” Mr. Robinson said. Some might challenge that private property is private property and owners should be free to allow whomever they choose to stay in their home. 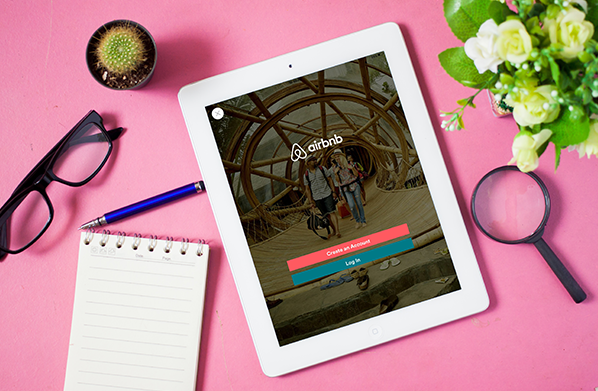 However, once a homeowner chooses to list their home on Airbnb or the sundry other room sharing companies in the market, she must abide by the company’s rules and policies prohibiting discrimination. Discrimination is in no one’s best interest. Airbnb knows this and is taking steps to remedy a problem – even if small – in its community and it will no doubt be a leader to other tech communities. This should not become a witch hunt though. Discrimination is not rampant in the sharing economy but where it is it is better if companies police themselves. Otherwise, government regulators will undoubtedly be glad to do it for them.